Paris Fashion Week is officially on, so there’s nothing better than highlighting a dramatic fashion moment. A number of designers such as Alessandro Michele from Gucci and John Galliano from Maison Margiela once again opted for opulence with a strong dose of spectacle. We rounded up some of the fiercest looks from the SS 2019 PFW runways that you simply have to see. There is nothing ordinary about a Maison Margiela show. 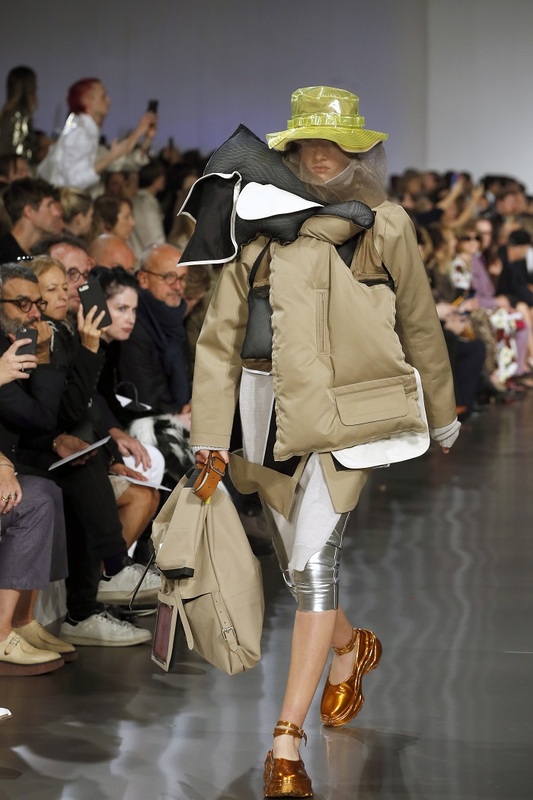 It doesn’t matter if it’s spring or winter, John Galliano finds a new way to introduce layering. Galliano is definitely one of the most eccentric designers of all time, so whatever he presents, it has a strong drama vibe to it. And what’s even more important, every single piece from the collection is set to become a huge trend in the following season. Get ready to shop for some oversized, but light puffer jackets, metallic biker shorts, and statement chunky footwear. We can’t get enough of how much this whole look stands out.